...and the shadows will fall behind you. This was an inspirational quote printed on the back of a notebook I received in one of Boxcitement's monthly subscription boxes. This resonates with me completely; the past couple months have been quite difficult for me so to receive another box from Boxcitement made me realise how grateful I was for services like these, especially with this box themed towards summer and positive attitudes. 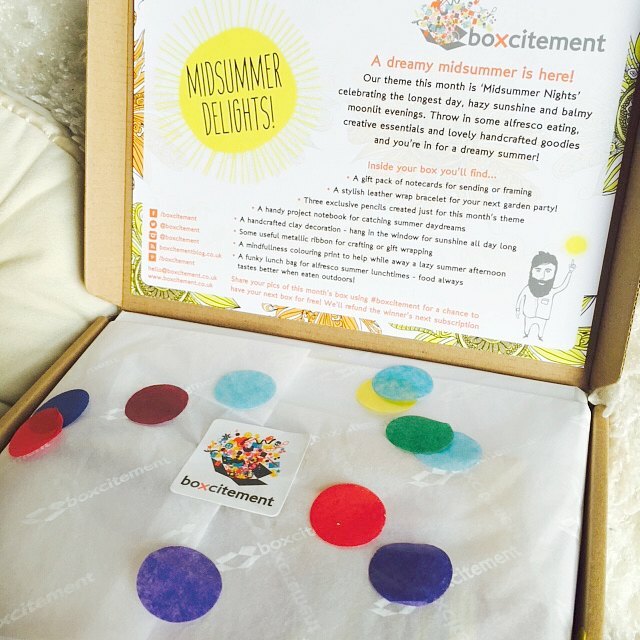 It is always such a joy to receive one of Boxcitement's boxes. It makes for a change from receiving your monthly bill or junk mail sent so robotically by the ever-so-uninspiring corporate world. 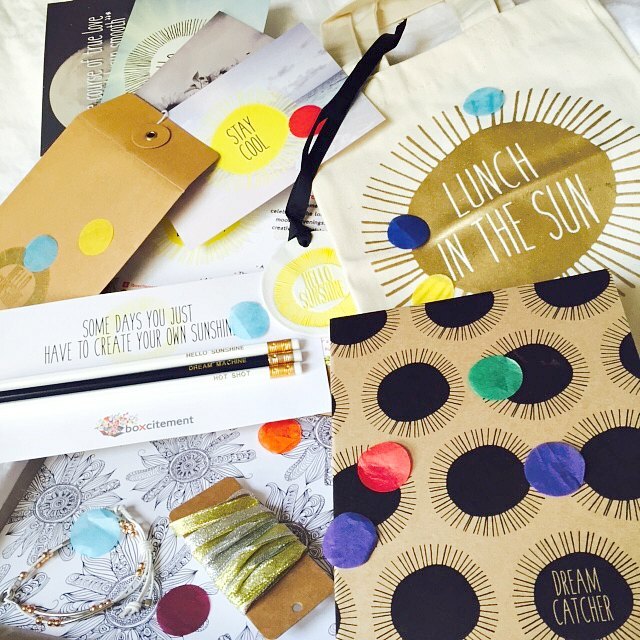 Not only are these boxes a delight to open but they are filled with things that you can utilise in your every day life that will bring that extra bit of sunshine to your life, no matter how big or small. The notebook in question is this little beauty. I love the simplicity of the design and how it reminds me of an exercise book from school. I used this to plan my recent trip to Burning Man, it was my little planner for all things weird and wonderful. 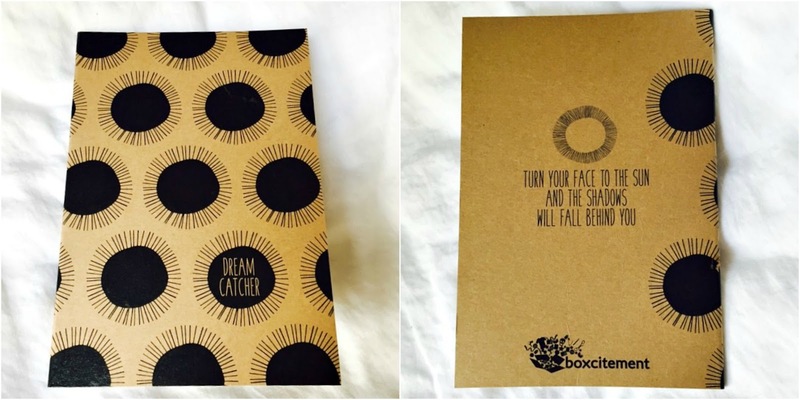 What I loved most about it was the back; it read "Turn your face into the sun and the shadows will fall behind you." It couldn't be truer, the sentiment that happiness is within is no lie. If you challenge your perceptions about things that have previously caused you sadness, you may find a new positive spin on it if you just turned your face into the sun. 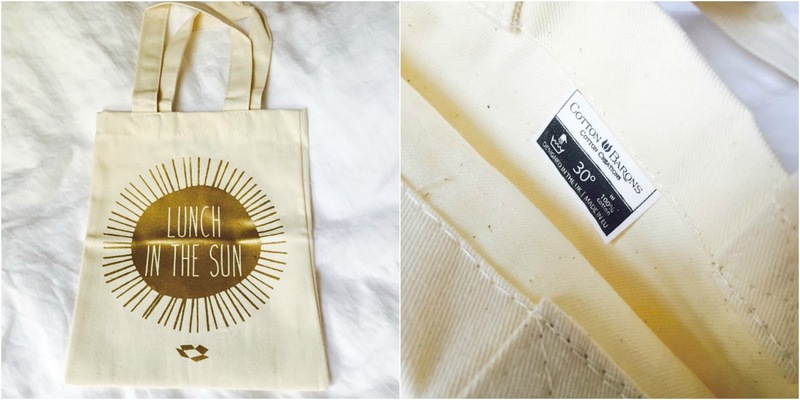 Now this nifty little tote couldn't come at a better time. I'd vowed to make my lunches at home more and bring them into work to save my pennies but I needed some form of carrying my otherwise discoloured and uninspiring looking tupperware. Of course, I couldn't wait for work so I went for a picnic with my friend for tea and brought this beauty with me. Although it wasn't technically 'lunch', it was still in the glorious sun. The theme of positive energy is consistent throughout this box and it couldn't make me happier. 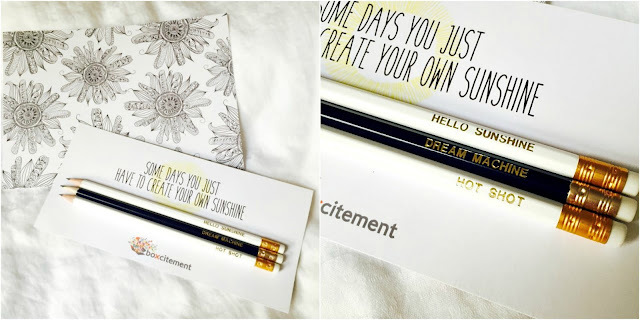 Along with this mindfulness colouring postcard, came these three slogan pencils that read 'Hello Sunshine', 'Dream Machine' and 'Hot Shot'. I decided to share these little carbon beauties with work and gave two away to my colleagues. I'm all about spreading that little bit of sunshine, even if you have to create it yourself. 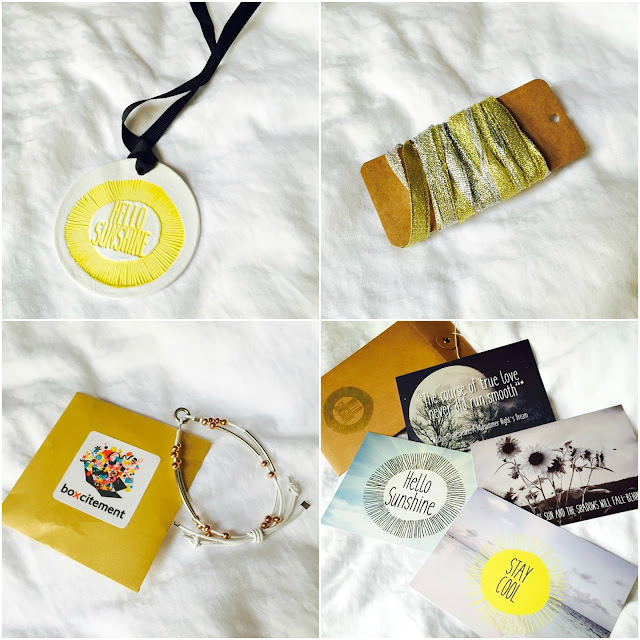 Some extra goodies included a ceramic decorative hanging that read 'Hello Sunshine', some metallic silver and gold ribbon which I later used on a gift, a leather beaded friendship wrap bracelet and some inspirational postcards waiting to be sent to my dearest and closest friends. I practised minimalism not long ago and found it quite challenging receiving so many monthly subscription boxes and maintaining a minimalist lifestyle but this box is ideal because a lot of what is inside is either useful or giftable. These monthly treasures come to £18 per month but a yearly subscription is £180 which means each box is only £15.